Commercial surrogacy in India was legalized in 2002. For the past decade Indian citizens and international singles and couples from around the world have sought treatment for IVF, egg donation and surrogacy. There is no legislation governing surrogacy agreements in India, however, a surrogacy Bill is before Indian parliament and it is anticipated new laws will be enacted in 2012/2013. Reputable clinics, including SCI Healthcare, closely follow the Guidelines for Accreditation, Supervision and Regulation of ART Clinics in India http://www.icmr.nic.in/art/art_clinics.htm set out by the Indian Council of Medical Research. Proposed laws for surrogacy in India are largely based on these Guidelines. SCI Healthcare clients enter into a surrogacy contract with a surrogate mother and her husband, if applicable. 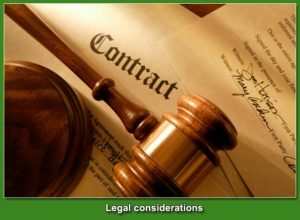 The contract sets out the responsibilities of both parties and offers legal protection for clients and surrogates under Indian contract law. The contract also specifies payment to the surrogate mother and the stages at which she will be paid. By signing the contract the surrogate signs away parental rights to the baby she carries. 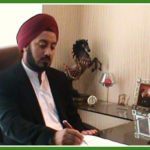 Surrogacy agreements are prepared by Mr Inder Bir Singh, Advocate, Delhi High Court. Ms Jyoti Kapooor assists Mr Singh. The cost of legal contracts is included in SCI Healthcare’s basic surrogacy package. Contracts are usually signed when clients visit Delhi, however, in cases where a client ships sperm or embryos to Delhi, or have a change of surrogate mother, the contract can be signed in a clientâ€™s home country provided they are witnessed by a notary public or justice of the peace. In the case of single parent only the genetic mother or father can be on the surrogacy agreement and the babyâ€™s birth certificate. For couples both parentâ€™s names appear on the birth certificate provided one parent has a genetic link with the child. The Delhi Municipal Council issues birth certificates. It is wise to have your babyâ€™s birth certificate stamped with an apostille seal. The apostille seal is a internationally recognised seal and gives the birth certificate legal validity in countries outside of India. International clients cannot use both an egg donor and a sperm donor, or donor embryos with surrogacy, as a genetic link between baby and at least one parent is required by the embassies of most countries to grant citizenship and a passport to the baby. A genetic link is established through DNA testing of one parent and baby. This is a mandatory requirement for citizens of most countries. Babies born through surrogacy agreements in India are born stateless. This means they are not given Indian citizenship by virtue of the fact they were born in India. Prior to starting surrogacy treatment it is essential that all intended parents consult the embassy of their country to ensure they are able to get citizenship of their country for baby. If you are in doubt as to whether your country will grant citizenship for baby please consult our client managers and your local embassy. Each countryâ€™s embassy has a different requirements for granting citizenship to babies born through commercial surrogacy in India. All embassies require, at least, a signed copy of the surrogacy contract, babyâ€™s birth certificate, parentsâ€™ birth certificates, pregnancy medical records, a signed statement by the surrogate mother and her husband waiving parental rights, and a summary of treatment provided by SCI Healthcare. SCI Healthcare provides all documentation required by a countryâ€™s embassy. Due to India having a large population, it can take a long time to get basic documentation such as a birth certificate or exit visa. There are several government departments to consult and long queues. The majority of our clients consult an agent to assist with applications for birth certificate, citizenship, passport and exit visa in order to expedite the process so they can get home quickly. Citizens of Australia are required by the Australian High Commission in Delhi to provide a report written by a lawyer, not employed by the surrogacy clinic, about their surrogacy agreement. The amount of time you will need to spend in Delhi to organise paperwork after baby is home varies from country to country. If organised and proactive, US Citizens generally leave within 10-12 days; Australian citizens 12 days to three weeks, and other countries approximately two to three weeks. Clients from UK must be prepared for a 12 week stay in India after birth of baby as the embassy takes this time to process passports.